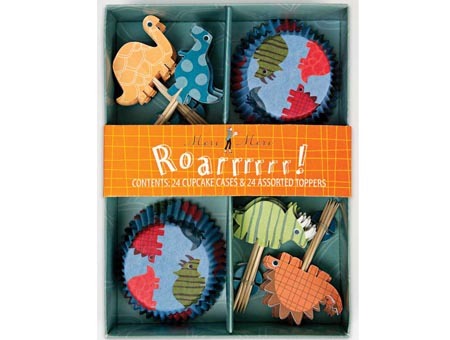 This cupcake kit will be a roaring success at any child's Prehistoric birthday party! With a selection of 4 jurassic toppers and colorful, patterned cases all made to our usual premium standards. Kit includes 24 cupcake cases and 24 cupcake toppers in 4 styles.